Commences theatrical run in Canada. 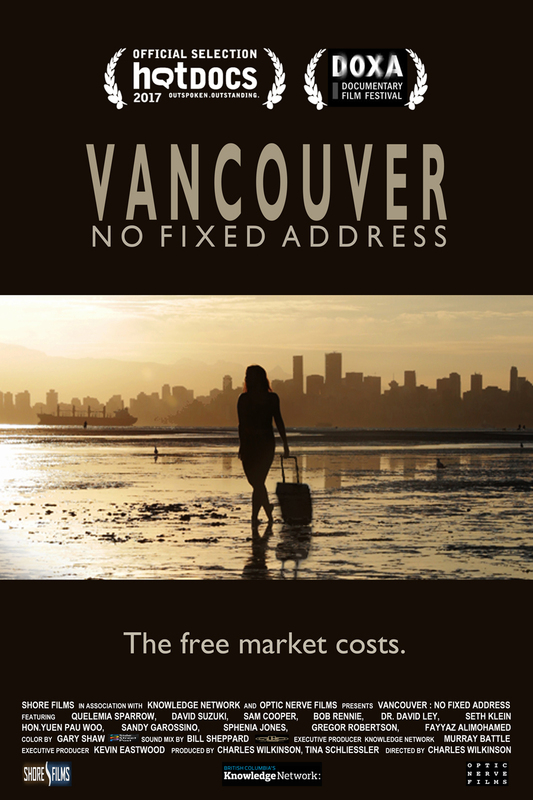 The latest film from acclaimed documentary filmmaker Charles Wilkinson is Vancouver: No Fixed Address. The film takes a look at the Vancouver housing crisis. It had its world premiere at this year's Hot Docs International Documentary Film Festival in May with 3 extremely well-received screenings. Three of Wilkinson's previous films have premiered at the festival, including Peace Out, Oil Sands Karaoke and Haida Gwaii: On the Edge of the World, with the latter winning the top prize at the festival in 2015 for Best Canadian Documentary. The film then had its West Coast premiere at DOXA in Vancouver in front of a packed home town audience. The panel discussion after featured a number of the participants from the film. The discussion was impassioned. From Toronto to Sydney and from San Francisco to London the cost of housing in cities around the world is skyrocketing. Vancouver: No Fixed Address takes an uncompromising look at the drama unfolding in one such city, where multi-ethnic citizens fight to preserve homes as living spaces instead of global financial commodities. It is also a story about the very idea of home, what promotes or destroys one’s sense of belonging, and struggling to cope with the strange and often threatening economic and social forces at the start of the 21st century. Vancouver, Canada consistently ranks in the top five cities on Earth to live. A city with unparalleled natural beauty, a relatively clean environment, safe streets, stable institutions, and an attitude that prioritizes lifestyle over work. It’s paradise for some but others are forced by high prices to live on the streets, and live in substandard conditions, or struggle to hang on to the homes they have. The film also looks at our housing casino and those cashing in on the meteoric rise in housing values. In other words, it’s a story most of us are involved in. Director Charles Wilkinson and producers Tina Schliessler and Kevin Eastwood (the team behind Haida Gwaii: On The Edge Of The World, and Oil Sands Karaoke) have assembled a group of residents deeply affected by the housing boom, as well as a number of key influencers in the city including: Mayor Gregor Robertson, Musqueam playwright Quelamia Sparrow, “Condo King” Bob Rennie, journalist Sandy Garossino, Senator Yuen Pau Woo, and scientist/broadcaster/activist David Suzuki. Vancouver: No Fixed Address examines the common issues at work within the global housing bubble – arguments debated in many cities worldwide experiencing astronomical, often inexplicable increases in real estate values. The documentary delves beneath the headlines and rumours and comes to some unsettling conclusions about home – a place we thought we knew. Vancouver: No Fixed Address was produced by Shore Films in association with Knowledge Network and Optic Nerve Films and was made with the participation of the Canada Media Fund. 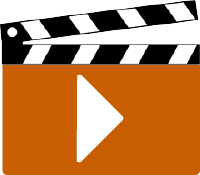 The film is the finale program on October 17th in BC's Knowledge Network's amazing Fall 2017 series 'Globalization And Its Discontents'.